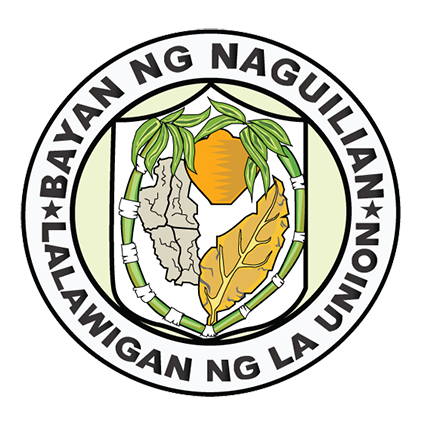 The Municipality of Naguilian is located at the center of the Province of La Union and lies at 120 25’ longitudes and 162’ latitude. It is bounded in the northwest by San Fernando, the capital of La Union; in the northeast by the town of Bagulin; in the east by the town of Burgos; in the southwest by the town of Caba; in the west by the town of Bauang, and in the southeast by the town of Sablan in the province of Benguet. It is thirty eight (38) kilometers away from the City of Baguio, eighteen (18) kilometers from the town of San Fernando, eight (8) kilometers from the town of Bauang and two hundred sixty nine (269) kilometers north of Manila. Naguilian which is within the Second District of La Union is composed of thirty seven (37) barangays namely: Aguioas, Al-alinao Norte, Al-alinao Sur, Ambaracao Norte, Ambaracao Sur, Angin, Balecbec, Bancagan, Baraoas Norte, Baraoas Sur, Bariquir, Bato, Bimmotobot, Cabaritan Norte, Cabaritan Sur, Casilagan, Dal-lipaoen, Daramuangan, Guesset, Gusing Norte, Gusing Sur, Imelda, Lioac Norte, Lioac Sur, Magungunay, Mamat-ing Norte, Mamat-ing Sur, Nagsidorisan, Natividad, Ortiz, Ribsuan, San Antonio, San Isidro, Sili, Suguidan Norte, Suguidan Sur and Tuddingan. 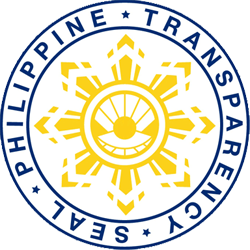 Of these barangays, two are classified as urban namely Ortiz and Natividad while the remaining thirty five are classified as rural barangays. Naguilian has a total land area of 10, 086.85 hectares, the third largest among the nineteen (19) towns plus one (1) city of La Union. Among these barangays, Casilagan has the widest land area of 903.38 hectares and Imelda the smallest with only 46.09 hectares. Due to difference in soil types and slope categories, the land capabilities in each barangay vary. The soil in Upper Bimmotobot is conducive for planting tiger grass and general farming while that of Lower Bimmotobot is for rice cultivating. Mamat-ing Norte with its fertile soil is converted into rice terraces while some portions are used as pasture grounds. Mamat-ing Sur is good for the production of virginia tobacco and rice in rotation. The crops suitable for Tuddingan includes rice and tobacco supplemented with varied cash money crops while its mountainous parts are essentially secondary forests. The lands in Gusing Norte and Gusing Sur are being planted with rice and corn and other varieties of cash crops, its mountainous area are rugged with only patches of cleared area between bald ridges covered only with grass and cogons. 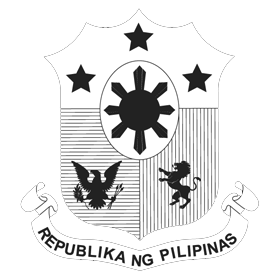 Casilagan, Bancagan, Daramuangan, Cabaritan Sur, Suguidan Norte, Suguidan Sur, Ambaracao Norte, Balecbec, Magungunay, San Isidro, the northern part of Ambaracao Sur, the lowest part of Guesset, Sili and Nagsidorisan, the lowlands of Aguioas and a part of Dal-lipaoen are planted with rice during the wet season and tobacco during the dry season. The greater portion of Casilagan are mountainous extending to the boundary of Burgos, the ridges are covered with grass, the sides are secondary forests while the top are rolling hills good for planting mangoes. The mountains of Suguidan Norte are mostly covered with cogon and its base is planted with mangoes and other fruit bearing trees. Sugar cane, rice, citrus plants and cotton are planted in Lioac Norte, Lioac Sur, Baraoas Norte, Baraoas Sur, Ortiz, Bariquir, Imelda and some parts of Bato. Only small patches of land near the bank of the river in Nagsidorisan are profitable for agriculture, most areas are good only for occasional cultivation. Barangays Mamat-ing Sur, Bancagan, Daramuangan, Bato, parts of Dal-lipaoen, Angin, Ambaracao Norte, and the plains of Aguioas and Al-alinao Norte have a 2 – 7 % slope, that of Tuddingan, Gusing Norte, Gusing Sur, Casilagan, Nagsidorisan, Ambaracao Sur, Balecbec, San Isidro, Magungunay, the mountainous parts of Guesset, Sili, Ribsuan, Aguioas, Al-alinao Norte and Ambaracao Norte have a 15 – 25 % while that of Lioac Norte, Lioac Sur and Baraoas Norte have 0 – 2 %. The soils found in the municipality vary from clay loam to sandy loam. The approximate elevation of the municipality is 165 meters above sea level. It has the ninth highest approximate average elevation among the twenty (20) towns of the province. The portion with the highest elevation is 544 meters above sea level while the lowest is 10 meters. 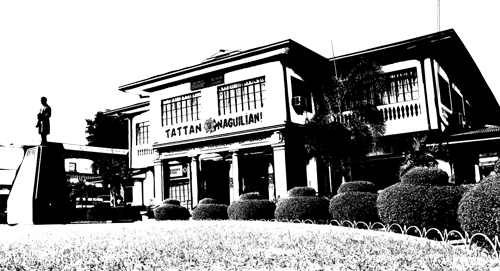 Generally, Naguilian has a combination of areas which are nearly level, hilly, and mountainous or moderately sloping. It has the same terrain with that of the neighboring towns of Bauang, Aringay and the City of San Fernando. The hills and mountains of Naguilian are generally open grassland on the ridges with small trees and undergrowth. Scattered patches of second forest growth and “boho” bamboos are usually found in the rugged hills and mountain sides. Cultivated portions along the slopes of the hills are planted with bananas, camote, mango and upland rice. The valleys and plains are extensively cultivated with food and cash crops such as rice, corn, sugar cane, tobacco, mongo, beans, peanuts, camote, citrus fruits, tomatoes and other legumes, root crops, fruits and vegetables. Almost all barangays are being traversed by rivers; hence, fishing is done on freshwaters. Different mineral resources can be found in different areas of the municipality. Coal was discovered in Casilagan but is considered by geologists to be of low commercial value. Copper can be found in Nagsidorisan but of very low grade. Gypsum has been said to be found in Suguidan Sur but the vein is only about the size of the arm. Uranium on the other hand has been said to exist in the municipality but the specific place has yet to be identified. Therefore, the most abundant mineral resource which can be found in several places in the municipality is clay. It is mostly used for the manufacture of bricks and other red clay products. Two main tributaries pass through the municipality and empty at the mouth of Bauang River. One is the Naguilian River which is located at the western portion of the town flowing westward from La Trinidad, Benguet towards La Union, emptying into the South China Sea and draining the rich valleys of Barangays Bimmotobot, Mamat-ing Sur, Mamat-ing Norte, Tuddingan, Gusing Sur, Gusing Norte, Baraoas Norte, parts of Daramuangan, Dal-lipaoen, Cabaritan Sur, Ortiz, Natividad, Suguidan Norte and Suguidan Sur. It has a length of approximately 67 kilometers and has a basin area of 658 square kilometers. As classified by the Environmental Management Bureau, the upper reaches of the river falls under Class A which means it is suitable as water supply and a source of drinking water. The lower reaches have lower quality categorized under Class C.
The other tributary comes from the Municipality of Burgos and drains the fertile valleys of Barangays Aguioas, Sili, Al-alinao Norte, Guesset, Ambaracao Norte, Nagsidorisan, Angin, Suguidan Norte and Natividad. These two rivers converge at the Poblacion forming a delta and meandering at the heart of the municipality thereby emptying at the mouth of the river in Bauang, La Union. The Municipality of Naguilian generally falls under the 1st Climatic Type of the Corona Climate Classification. This is characterized by two pronounced seasons; dry from November to April and wet for the rest of the year. The Southwest Monsoon (SWM) brings abundant rainfall during the wet season while the relatively dry season is caused by the Northeast Monsoon (NEM) passing over the Cordillera Mountains. There are two PAG-ASA stations which monitor the rainfall and air temperature of La Union Province. One is located in Baguio City and the other one is situated in Dagupan City, Pangasinan. Rainfall is less evenly distributed with maximum rainfall occurring during the months of July to September. The mean temperature of the municipality is 27.5 degrees centigrade rising as high to 29.2 degree centigrade in May and as low as 25.8 degree centigrade in January. Wind generally blows from south to west and southwest to east. Both North and South Monsoon are felt in the locality. The municipality is exposed to hydro-meteorological hazards such as flooding, rain-induced landslide and tension cracks caused by strong typhoons brought about by heavy monsoon rains. Flooding during the occurrence of prolonged heavy rains is commonly caused by the overflowing of waterways, drainage and canals due to improper solid waste disposal. It can be attributed to the increase of daytime population in the municipality and nearby towns. Moreover, flooding can also pose as a health threat causing water-borne diseases to vulnerable age groups. Structures most likely to be affected during floods are road and bridges, commerce and trade establishments, schools, health facilities and primary utilities such as water supply, power supply and communication networks. Rain-induced landslide most commonly caused by widespread forest denudation, lack of vegetation covers in steep areas and loose soil along riverbanks and creeks is also noted in the municipality and nearby towns causing temporary road closure to vehicular traffic affecting the transport of people as well goods and services.